This is a controversial topic. A growing number of experts are cautioning that there's insufficient evidence for use of zinc-free, and other AREDS supplements 'tailored' to patient genetic profiles. Citing the limited and possibly flawed data from a study by Dr. Carl Awh et al. (funded by MacularRisk), used as rational for these customizations, the National Eye Institute has indicated that it would be premature for eye practitioners to recommend such supplements. In a presentation at the American Academy of Ophthalmology (AAO) meeting this past November, NEI spokesperson and lead AREDS researcher Emily Chew, MD pointed out that studies to date on this topic have produced conflicting results, with an earlier AREDS analysis (Klein et al, 2008) finding zinc to have either benefit or no effect (but no harm) across all genetic profiles. Dr. Chew pointed out several specific flaws in the Awh et al. study. Currently, no one has clinically tested different nutritional treatments for specific genetic profiles in a clinical trial. 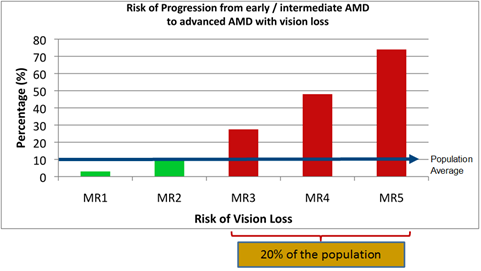 Emily Chew, MD, in a Retina Today article (http://bmctoday.net/retinatoday/2013...-amd-continues) states that the retrospective analyses conducted thus far are insufficient to shape clinical guidelines. In other words, crunching data from past studies that weren't designed to evaluate genetics may not be enough. 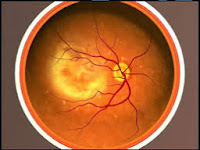 The American Academy of Ophthalmology Expert Panel on Genetics is also now advising against the use of genetic testing for patients with AMD and other complex eye diseases until further research is done. Zac, thanks for your reply. 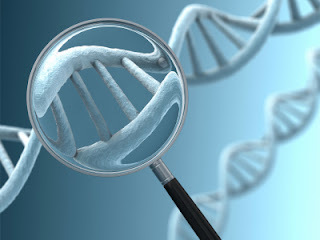 I am aware of the advisories against the use of ARMD genetic testing data. The retina specialists that I work with directly have conflicting views as well. Many factors go into my treatment plan for each individual patient as no presentation of ARMD is ever identical. Genetic testing simply plays a role, and as research progresses, my guess is that it will eventually play a much larger role. I certainly do not believe any physician should tailor their ARMD treatment plan around genetic data alone. Having this data, however, certainly causes no harm to the patient.